One second, you are relishing in God’s refreshing joy and the next second, the devil tries to steal it. Story of my life. I have so much to be happy about but the devil had to remind me of the things I have to worry about and I feel like I was in a pit of hopelessness last night! I thank God I came across 2 Samuel 22:29. I actually read the entire chapter which is one of David’s psalms of praise. And verse 29 hit me hard. This morning, I have declared and confessed it a zillion times. God is the master of EVERY situation. 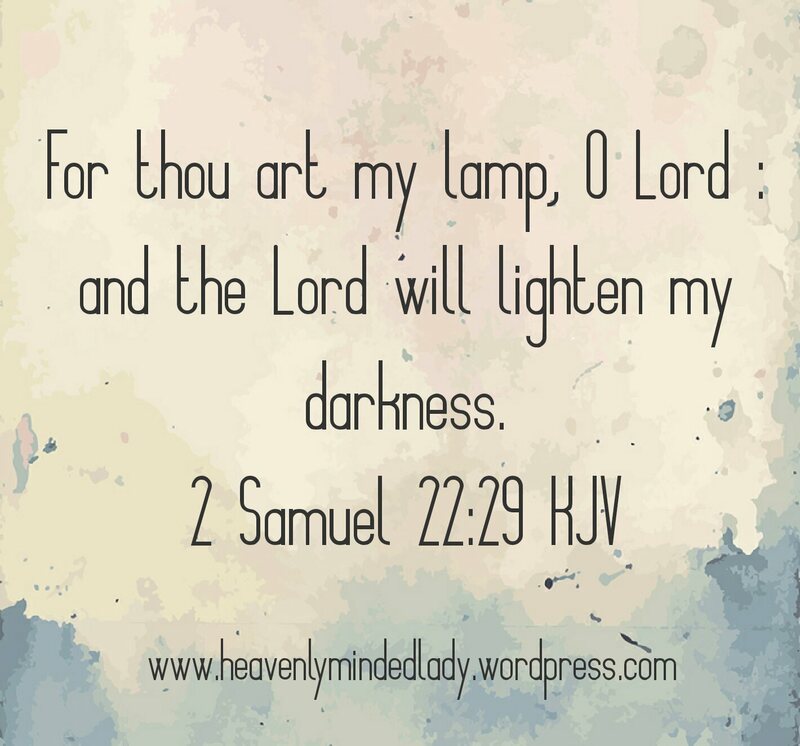 The Lord will lighten my darkness. I claim it! I believe it! Declare it: For thou art my lamp, O Lord: and the Lord will lighten my darkness.